The entire hotel team welcomes you to Vichy. Discover the charms of our natural park and thermal spa on foot, and remember to get your bottle of Vichy Célestins and your authentic Vichy pastilles! In the heart of the thermal spa city and its parks, closed station, the Mercure Vichy Thermalia hotel offers modern rooms with every comfort in an Art Deco spirit. 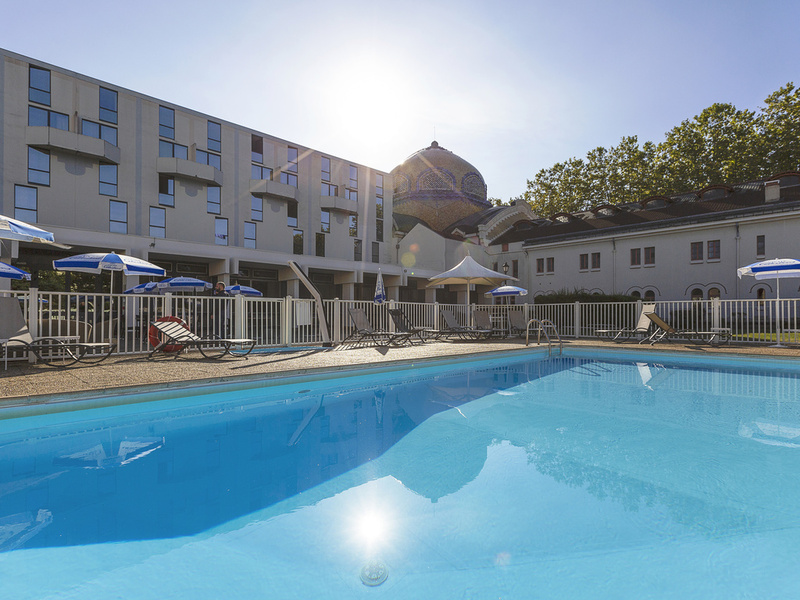 Located right in the town centre of Vichy, its terraces and its heated outdoor pool (from 1 5 May to 15 October depending on the weather) will add extra pleasure to your business or family stay. If you wish, the hotel can provide conference rooms for the organisation of your seminars. For relaxation, enjoy the Thermal & Spa area. Enjoy yourself at the Mercure Vichy Thermalia hotel for visiting the Lac de l'Allier and the Thermes des Dômes, visit the Opéra de Vichy or spend an evening in the Casino.